Okay, so sometimes I get travel inspiration from weird places and Malta may just be the strangest. A few years ago, I was watching the World’s Strongest Man Competition, which I do when I catch it, because I love to see the crazy things they make them do. Previous ones have been held in places like Victoria Falls, where they complained of extreme heat. Like many sporting events, you get some wonderful shots of the destination between competitions, as well as before and after commercial breaks. This last one I watched took place in Malta, and it was stunning. Of course, I’d heard of it, but I didn’t know much about it or even where it was located. Until recently, I actually thought it was a Greek island, but apparently, it’s part of European Union. Since that series of competitions, I’ve been planning a trip to Malta as an addition to a European vacation. I mean, if I’m already there, why not make a quick plane trip to Malta from Turkey or Greece? 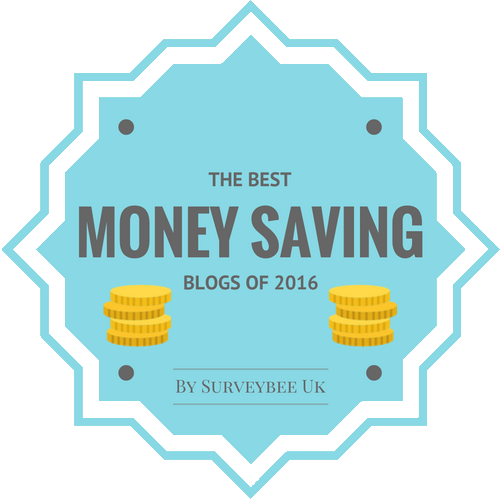 I’ve done a bit of research to see what I want to see and do there on my visit…on a budget, obviously. St. Paul’s Catacombs – I’m always fascinated my underground attractions, especially ones that are especially historical. The St. Paul’s Catacombs are interconnected Roman cemeteries that were used up to the 4th century to get around the law that prohibited burying human remains within the city. The Old Prison – Not only can you see what a prison cell looked like, but there is also a permanent exhibit of fortifications and it’s the home of the largest collection of historical graffiti on the island. The Palace Armoury – Amazingly, considering the size of Malta, it is home to the largest collection of arms and armor still housed in its original building. The Palace Armoury is where the Knights of St. John (a group of warrior monks) stored everything they needed to defend Catholicism from the Ottoman Turks. The Palace State Rooms – The pride of the Presidential Palace where you can see the only complete set of the 18th century tapestries called “Les Teintures des Indes”, a portrait gallery of Maltese islands rulers, Baroque ceiling paintings, as well as period furnishings and décor that is over 400 years old. Of course there is the beach to enjoy on a Malta vacation, but that’s not the only way to view the water. 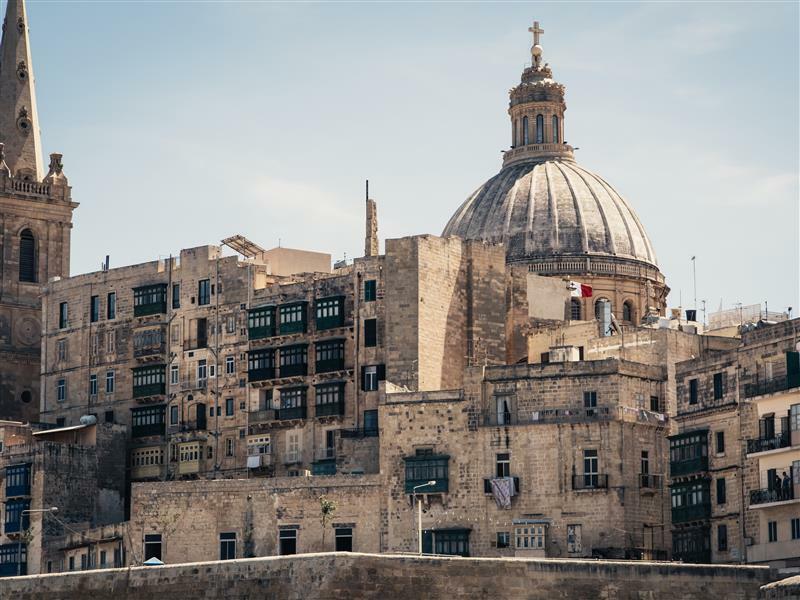 The Valletta Waterfront is lined with historical architecture, the Quay Wall – where merchants unloaded their wares on Grand Harbour – and fantastic shopping, dining and leisure experiences. This is also where you will find the Port of Valletta, where cruises dock, and an awesome open air museum. It’s a great place to take envy-worthy photos. If you like diving and swimming in stunning waters, the Blue Grotto is the place to go. On the southern coast, it is a popular tourist attraction, mostly due to the way the phosphorescent colors of the underwater plants reflect on the surface. The colors can be seen from sunrise until lunchtime, and create a riot of oranges, purples, greens and blues. If getting in the water isn’t for you, as I tend to shy away from, then you can hop on a boat to see the caves up close. When I travel, I may not buy much, but I love to browse. I will take a few things home to commemorate my trip, generally ornaments, unless I find something I just can’t live without. It pays to know what local products to look for, though, in case it’s something you can’t get anywhere else. 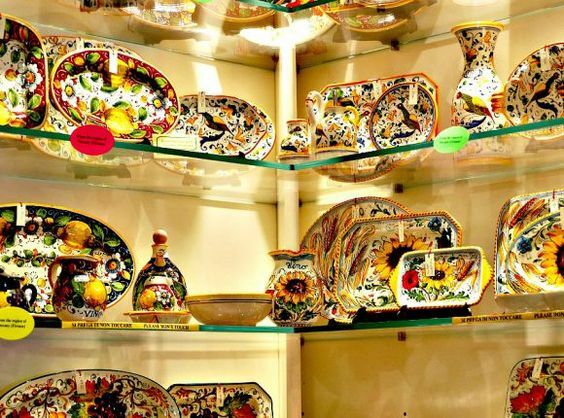 Malta isn’t as hard-core about shopping as many other vacation destinations, but that doesn’t mean those who love to get a little retail therapy will be disappointed. There are plenty of upscale boutiques to choose from and you can find the finest hand-made silverware on Republic Street. Look for lace, knitwear, baskets and hand-blown glass. Malta also has a lot of gourmet foods, like sundried tomatoes, wine and olives. They may be a little more expensive to bring back with you, but make excellent gifts. Because of the international influence on the island, you can purchase some of the latest fashions and other European goods and décor. 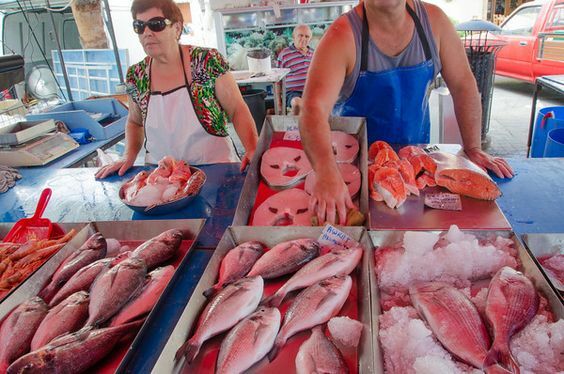 As a lover of outdoor markets, I’d definitely go for some local produce at the Valletta Sunday Market or Marsaxlokk Market. Bigilla – Broad beans with garlic. Helwa tat-Tork – A sugary dessert made of whole and crushed almonds and tahini. Kapunata – A Maltese version of ratatouille made with tomatoes, eggplant, green peppers and capers. Lampuki Pie – A fish pie made with dorado or mahi-mahi. Sargu – A white bream fish. Malta also has its own wines, even though it imports wines from larger regions, which I’d think anyone who can appreciate a glass would want to try. They have the traditional grape varieties, but make sure to try a glass or two of wines made with Gellewza and Ghirghentina grapes. Malta may have tons of wonderful hotels, but when I travel, I like to feel like a local and get my own place. Vacation rentals give you more space, so when traveling with more than two people, you don’t feel like you aren’t on top of each other. Most have included parking, a kitchen in which to cook your own meals (that you can make from foods you bought at the market) as well as more creature comforts you enjoy at home, like TV, laundry and WiFi. Chestertons rents both apartments and homes for short and long-term visitors, many that are perfect for the budget traveler who would rather spend their money experiencing their destination than where to sleep, but still have a comfortable and lovely place to call home at the end of the day. Just doing a quick search, I found a lovely two bedroom, two bath apartment in Marsaskala for less than $80/night. It has a washing machine (pack light!) and a sweet little balcony. 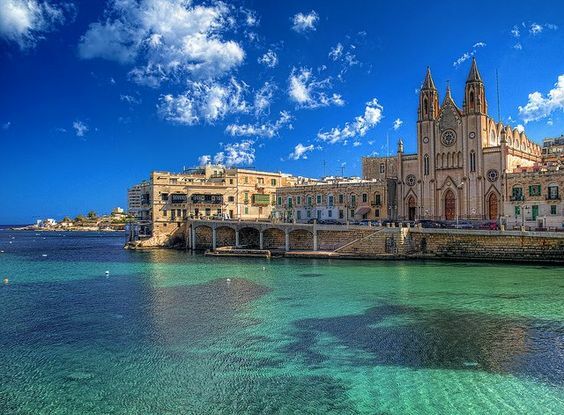 Chestertons makes it easy to plan the perfect vacation to Malta, giving you the opportunity to feel like a local. 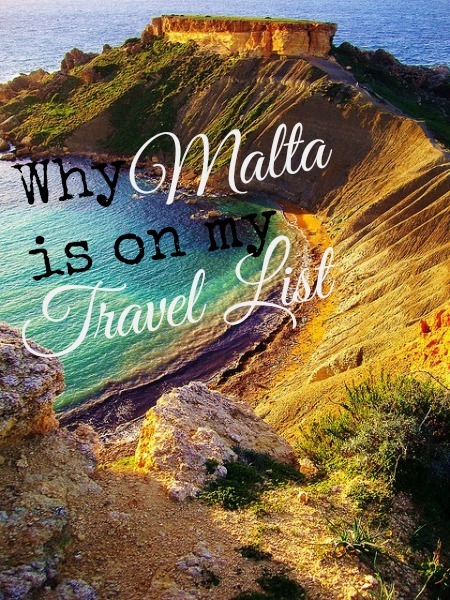 Is Malta on your travel wish list, or have you already been on a previous vacation? Disclosure: This post was written by on behalf of Chestertons, but all thoughts and opinions are my own.